NEW YORK: The family of Prince has told Donald Trump to stop playing the late icon´s songs at rallies, following a phalanx of other angry artists who have told the US president to pull the plug. "The Prince Estate has never given permission to President Trump or The White House to use Prince´s songs and have requested that they cease all use immediately," tweeted the musician´s half-brother Omarr Baker. The Trump campaign did not immediately respond to an AFP request to comment. The president´s team have reportedly added "Purple Rain," one of Prince´s best-loved tracks, to the playlist of recent rallies in the run-up to November midterm elections, including in Mississippi last week. 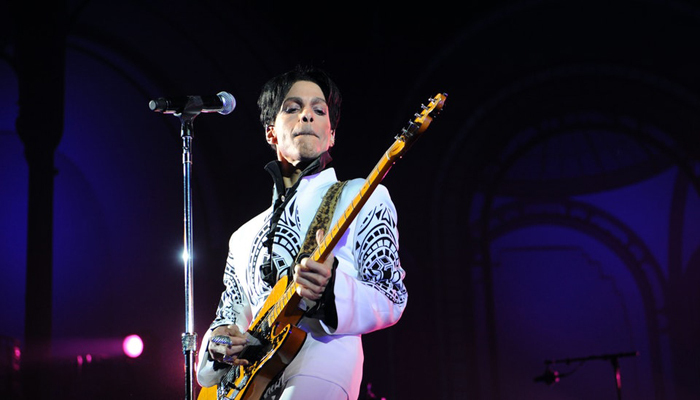 The complaint adds Prince to a long line of musicians or their representatives who have objected to the billionaire Republican head of state blasting out their tunes at his public rallies. The Rolling Stones, Adele, Neil Young, R.E.M., Aerosmith, Queen and George Harrison are among acts that have lodged objections to the use of their music at Republican gatherings. The family of Italy´s late Luciano Pavarotti, one of the most famous tenors of the 20th century, also criticized the use of his signature recording of blockbuster Puccini aria "Nessun Dorma," a fixture at Trump´s 2016 rallies. But during a question-and-answer session on Twitter two years ago Rolling Stones frontman Mick Jagger was quoted as saying there was nothing he could do under US law to stop Trump playing his music. "If you´re in a public place like Madison Square Garden or a theater, you can play any music you want, and you can´t be stopped. So, if you write a song and someone plays it in a restaurant that you go to, you can´t stop them. They can play what they want," the Daily Beast quoted him as saying. While US law could allow an artist to ask for his music not to be played at political campaigns, none have yet followed through with any legal action. Prince died aged 57 in April 2016 from an accidental overdose of powerful painkillers. He left no will and had no living children, with his siblings put in charge of keeping his estate afloat.